If there are two little stars last year, Vic Sotto's entry to the 2014 Metro Manila Film Festival is bigger and better, and triple the fun. My Big Bossing is again, expected to be a blockbuster hit among children and the young at heart, together with Ryzza Mae Dizon, Marian Rivera and Nikki Gil in the cast, and introducing Alonzo Muhlach. Why triple the fun? Three high calibre directors as Tony Y. Reyes, Marlon N. Rivera and Bb. Joyce Bernal creates three fantasy, comedy and even horror stories in My Big Bossing. 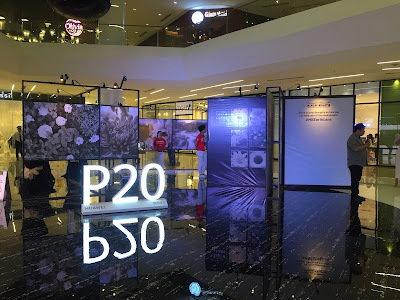 The movie is the biggest-budget entry in the MMFF race, and boasts of the collaboration of three of the country’s biggest film production outfits: Octoarts Films, M-Zet TV Production and APT Entertainment. 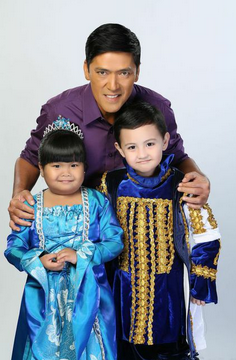 "My Big Bossing" consists of three episodes of fantasy and wonder, each with its own storyline. It features a star-studded cast led by the indomitable Bossing Vic Sotto, MMFF’s all-time box-office king and wonder child superstar Ryzza Mae Dizon in all three episodes. During the blogcon, Bossing Vic Sotto is again happy with the movie he co-created with the cast and his directors. He still thrives to do movies that kids will enjoy and make the viewers feel good and happy after seeing his film. The first episode is entitled, Sirena, directed by Tony Y. Reyes. This story is about Jessa, Tandang Wishy, and Ninong Bossing. This will give us a lesson that you always have to be careful what you wish for, and that dreams are all earned through hard work. Taktak is the second episode of My Big Bossings, by Director Marlon N. Rivera. This comedy-thriller is about Angel, a young spirit medium who sees dead people. This will probably the first comedy horror film for kids. Lastly, Princesa is directed by Bb. Joyce Bernal puts Ryzza Mae Dizon in the spotlight alongside rising child star Alonzo Muhlach, the son of former child star Niño Muhlach, who will play the role of Alonzo’s dad in the movie as well. Are you excited? My Big Bossing proves to be bigger and grander with three different stories in one film. Working with three directors also shows how big this movie is. From the special effects, to the locations, Octoarts' Big Boss Orly Ilacad wants families to enjoy this movie on Christmas Day, where Filipino Films are showcased. "My Big Bossing" will be in theaters starting Christmas Day, Dec. 25.